This is the foundation upon which I built the Columbus fitness guide: Find Where You Fit. With a background in movement science and a passion for exploring fitness opportunities, I channeled my knowledge as a physical therapist into a blog. It is your community resource to connect with healthy living choices. The more we know about what’s out there, the more likely we are to have a positive experience trying new things. On the first of the month, my readers enjoy seeing what fitness-related events are coming up in Columbus. Do you have any idea how many yoga/beer/wine/animal/craft/snack combos happen each month? It’s insane. This city is the best. Find Where You Fit features local studios, instructors, kids’ activities, and classes. I’m excited to share a few recent highlights. Seven Studios hosted a charitable rooftop yoga class complete with a live DJ. They have a way of putting a positive, inclusive, lighthearted spin on every class they teach. 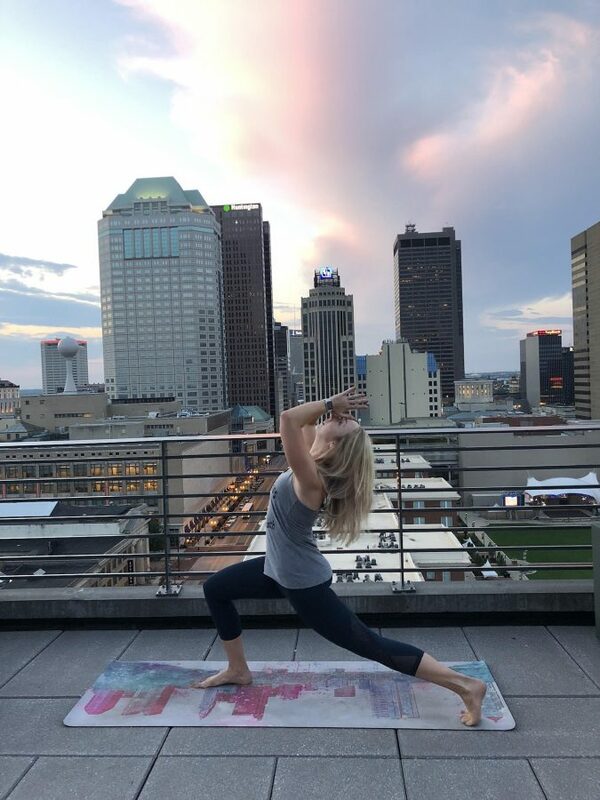 Rooftop Yoga with Seven Studios may be done for the season, but they gave us a sneak peek of all of their upcoming events. The views were breathtaking and it was a standout memory from my summer. If they bring it back next year, it will be in the event guide for sure! With all the kids going back to school and starting up activities, we got to know New Albany Ballet Company. 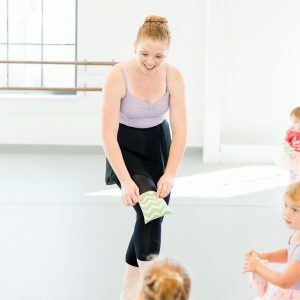 My daughter has had 2 years of great experience there and as a dancer myself, I happen to know a ton about ballet schools. They check all the boxes. Find Where You Fit readers and their little ones even got a chance to come try a class for free. I love them for their beautiful studio, fantastic teachers, professional-grade spring recital, and quality. Clintonville welcomed a new studio: Workshop Method, and I’m obsessed. They emphasize sustainable fitness, which means you’ll get a thoughtful warm-up before an intense workout. The heart of your workout uses bands, weights, your body weight, and high quality water rowers. If you haven’t been on one before, it’s very friendly to your joints and pretty quick to learn with their helpful cues. Glacier Ridge Metro Park is like nothing I’ve seen before. For the adults and big kids, they have built a 12-obstacle course within a freshly paved half mile running loop. For the kids, they’ve built a wooden playground structure complete with obstacle training features like a warped wall and a zipline. In addition, there is new, more traditional playground adjacent to it.